It is not easy to say no to our children when they ask us to buy them something and we do not have the money for it, regardless if it is a small or big item. 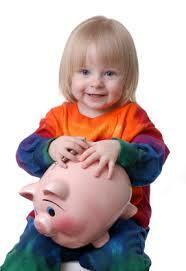 Start teaching your kids the value of money and the importance of saving even if they are still toddlers. They can do small little chores around the house and you than “pay” them for doing so. As soon as saved enough money they can buy that desired item out of their own money. At the same time they must also learn not to expect to get paid for everything they do. They need to know the difference between getting paid for their “work” and their responsibility towards the household chores. See how to teach your children about money here.